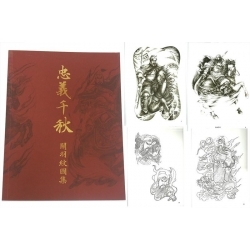 The content of the commodity: atlas of guan yu tattoo. 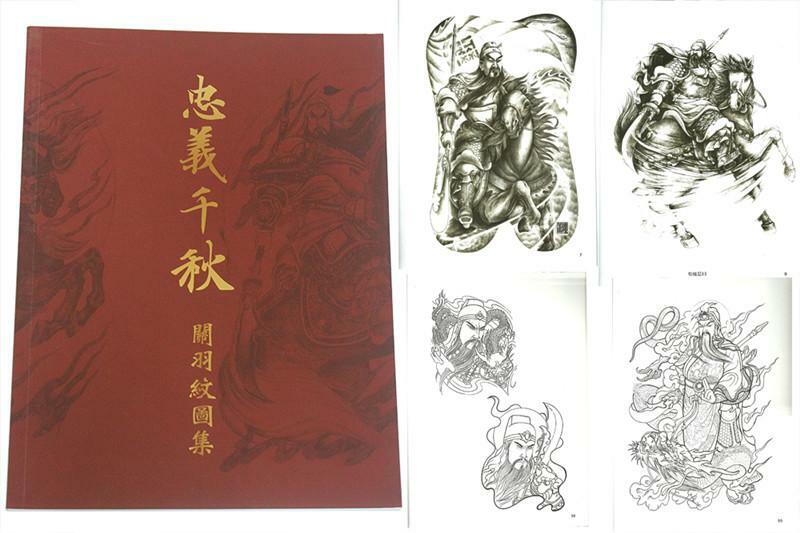 Literacy: guan yu (160 or 160-220), the cloud long longevity (notebook). Hedong county (now shanxi yuncheng city) people. Eastern han dynasty last years of the star. Liu2 bei4 started, guan yu to follow liu bei, loyalty is not two, liu2 bei4 reuse. Followed liu bei, zhuge liang shu, guan yu is jingzhou, liu bei after taking in hanzhong city, cao wei guan yu take the northern expedition, xiangfan, escape from the forbidden, Ezra pound, a sublime huaxia, zhongyuan vibration, but dongwu sneak attack jingzhou, GuanYuBing loss were killed. Guan yu's death, gradually become myth, folk to as "the duke guan"; All previous dynasties imperial much praise, in the qing dynasty as the spirit of "loyalty and creature on Ren Yongwei GuanSheng emperor", advocates for "guanyu", and "variation" of Confucius. Statue of the romance of three kingdoms as admiral "five tigers", Mao Zonggang called it a "quiet" three kingdoms "of the" righteous ".